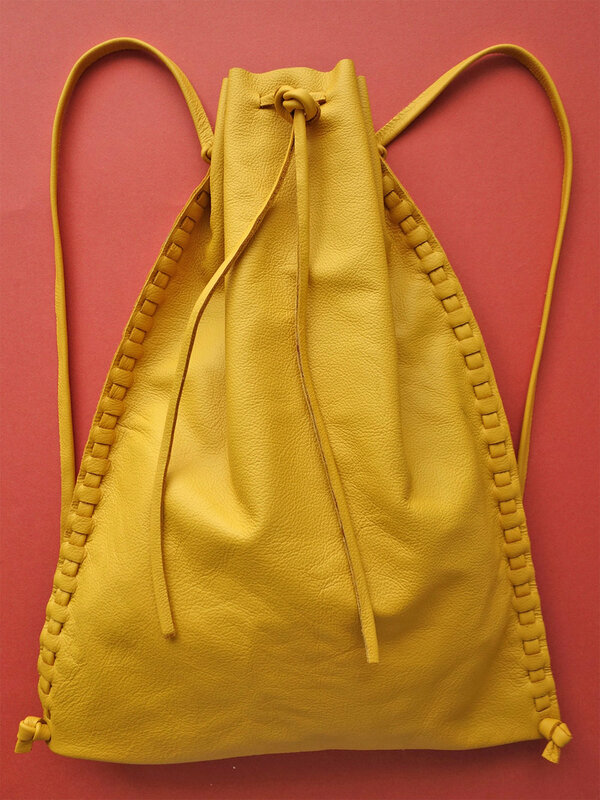 The leather drawstring bag is handmade without any stitch. 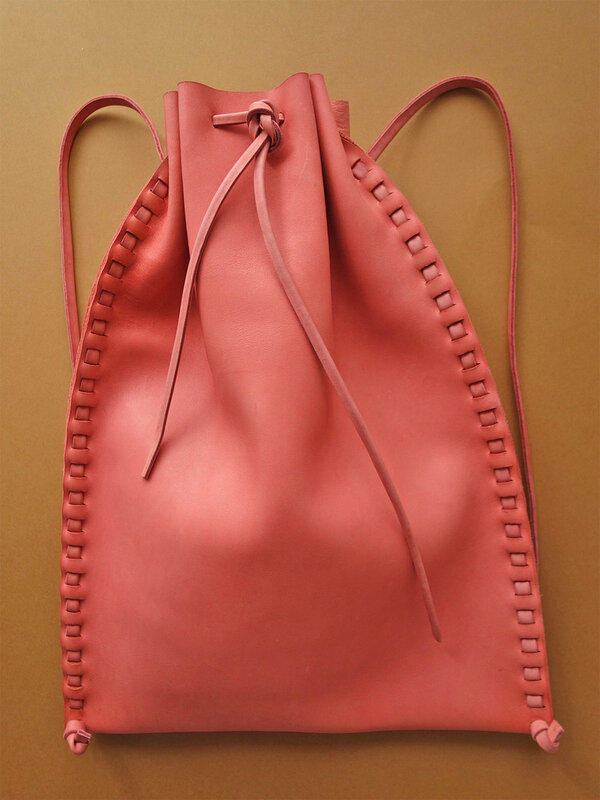 The connection is the construction of the bag. 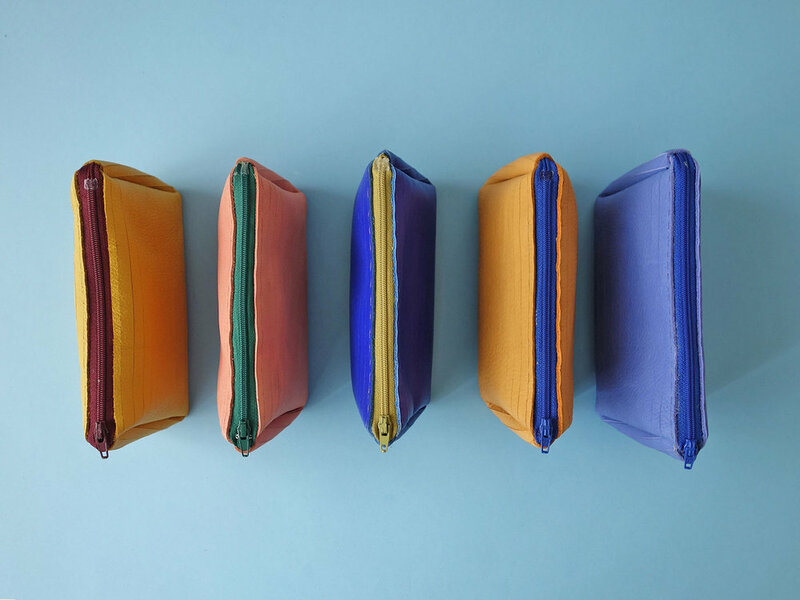 The pouch is made of leather with score lines, finished with a colored zipper.